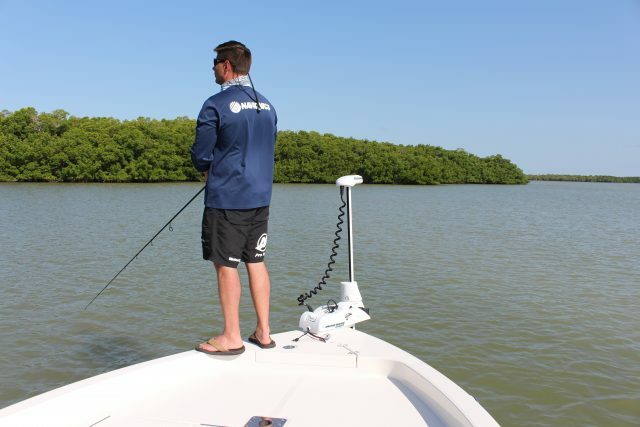 Having a virtual anchoring system on your boat can help you catch more fish. Period. After spending an entire day of wreck fishing off the North Carolina coast with the Yamaha Helm Master system, we came to one inescapable conclusion: virtual anchoring makes you a far more effective angler. 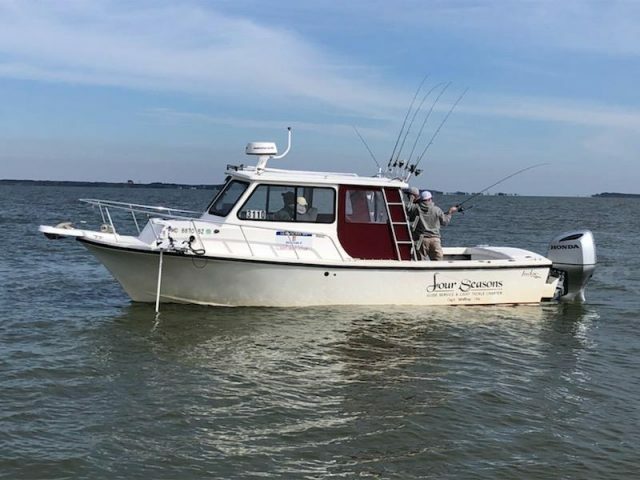 Casting for stripers in the Chesapeake Bay on a bay boat with an electric bow-mounted Minn Kota that had their Spot-Lock virtual anchoring feature led us to the exact same conclusion. 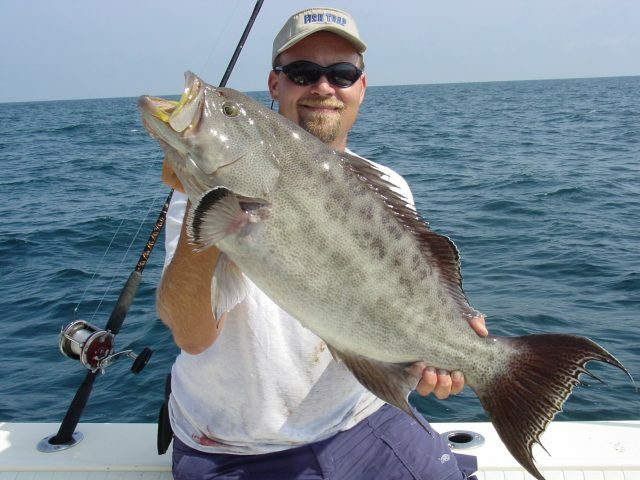 And deep-dropping for tilefish on a boat with pod drives provides exactly the same evidence. Virtual anchoring systems can help you catch more fish – a lot more fish – period. Being able to hold your boat in position anywhere, anytime, gives anglers a serious leg up on the competition. 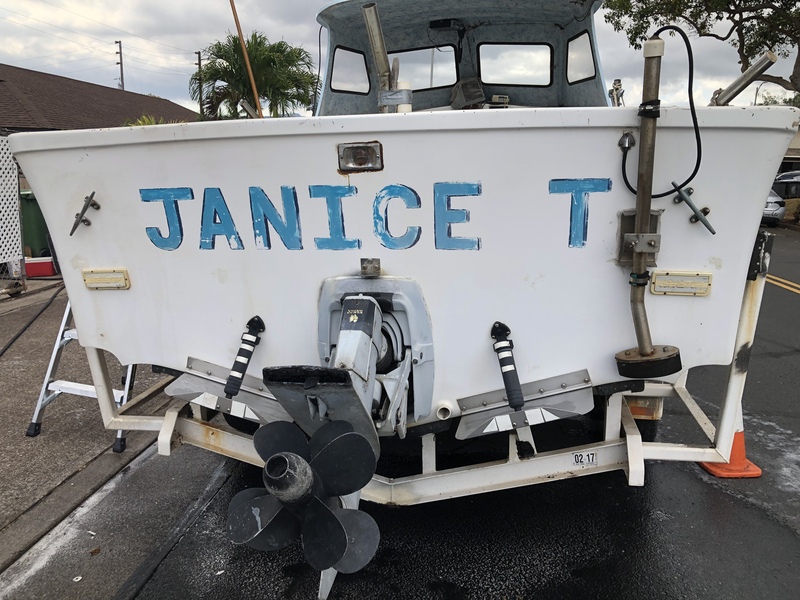 We’ve always had anchors, and anglers have long depended upon them for keeping their boat in position over wrecks, reefs, and drop-offs. 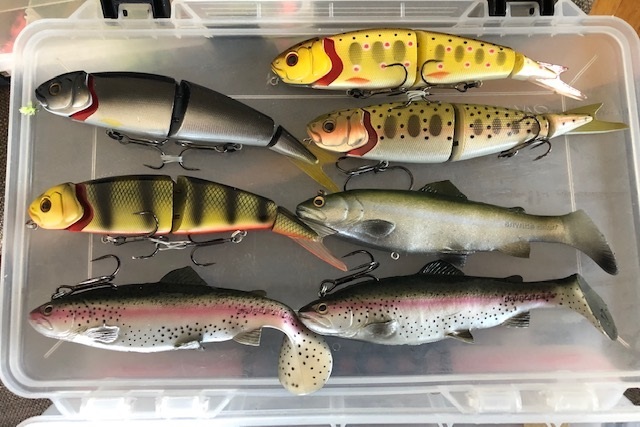 But anchors are a PITA to set and haul, they may not hold depending on bottom type and conditions, it’s hard to pin-point anchor over a small spot while accounting for scope and swing, and the noise created by handling an anchor can spook fish. Power Poles were a big technological boost over the old flukes and chain, and as we noted in Boat Rigging – Custom Tweaks, the ability to deploy one and hold your boat in place is solid gold. But Power Poles are only good for shallow water. Virtual anchors which incorporate GPS positioning with your power system, are the ultimate answer. 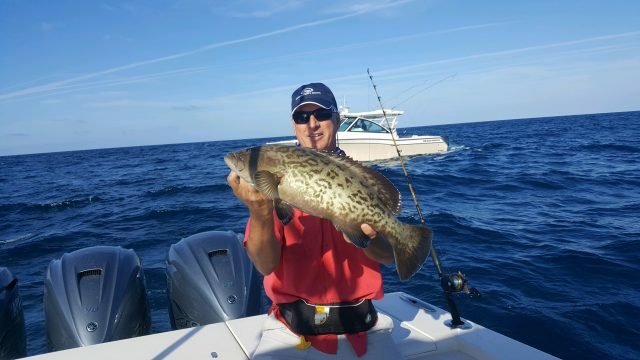 Pressing a button and allowing GPS and the Yamahas to do the station-keeping work was key in pin-point positioning a Grady-White 456 Canyon over just the right spot, to catch this grouper. Virtual anchoring became possible thanks to electronics system networking, combined with digital steering and control systems. It was made a reality over two decades ago (according to the Institute of Navigation), at first by commercial fishermen who were looking to save time spent anchoring and improve the locational inaccuracies caused by anchor swing. Volvo Penta picked up on the idea early in the process of bringing pod drives into the mainstream in 2005, and just a few years later Minn Kota incorporated their Spot-Lock feature into the i-Pilot electric trolling motor system for both saltwater and freshwater anglers. MotorGuide did the same, with their Pinpoint GPS system. And in more recent years the ability has migrated onto multiple outboard rigs in the form of digital control systems incorporating joysticks, including Yamaha’s Helm Master, SeaStar’s Optimus, and Mercury’s Joystick Piloting. As GPS accuracy has improved through the years, the abilities of virtual anchoring systems have also improved. Assuming you’re equipped with a modern system and your GPS antenna isn’t blocked, you can normally expect position accuracy within 10-feet – a variance that a good strong cast can certainly make up for. And pin-point positioning doesn’t end with pressing a button and sitting in the exact same spot. These systems also allow you to press an arrow or tap a joystick, to move 10 or 20-feet in a chosen direction. 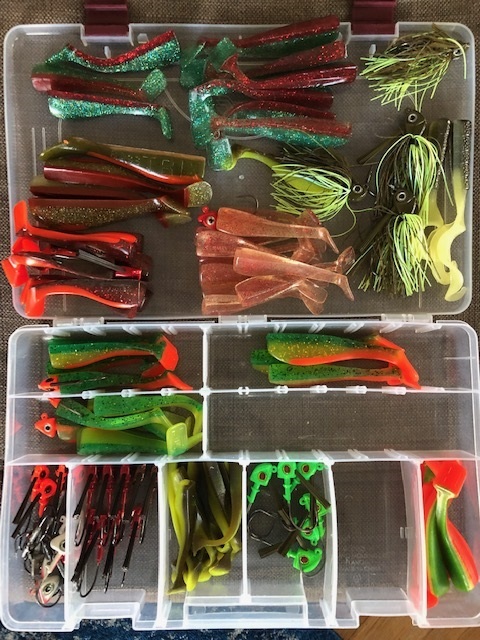 You can stop your boat over the stern of a 100-foot-long, 25-foot-wide wreck laying 100-feet down, and then slowly zig-zag your way up to the bow dropping baits along the way until you find not just the wreck but the very best spot on the wreck to fish. Try that with an anchor and rode. 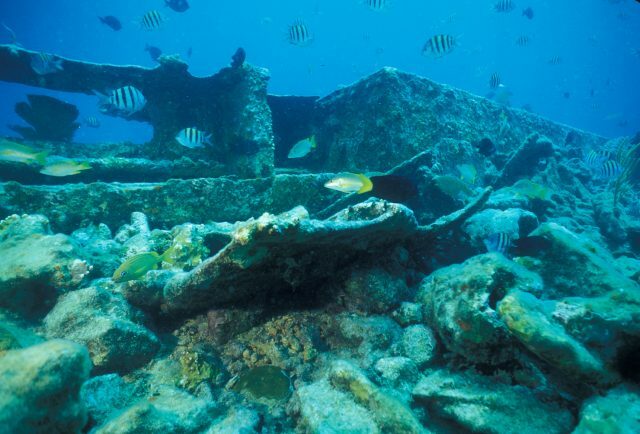 Different portions of a wreck or reef can hold varying concentrations of fish, and “jog” features in these systems allow you to micro-adjust your positioning until you’re right on top of the hotspot. Although all the systems we’ve mentioned above make virtual anchoring a piece of cake, your own personal options for utilizing them may be relatively limited. If you have a straight-inboard boat, for example, you can’t exactly swap those shafts out for pod drives. 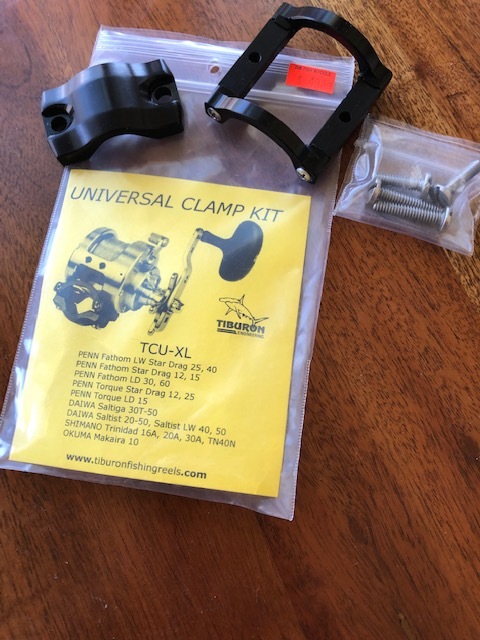 Outboard rigs require two or more motors with digital controls, and if your boat has a mechanical system, it will take a significant (read: costly) upgrade to get virtual anchoring. 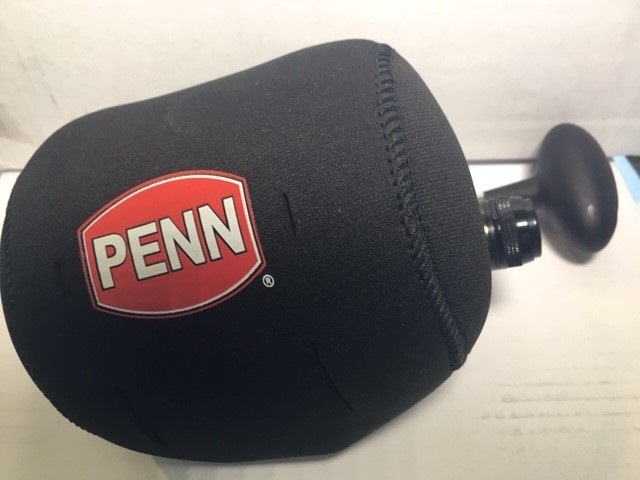 Most existing digital outboard joystick systems installed prior to the development of these functions can, however, be upgraded at a relatively reasonable cost. (We can’t nail down a number here, because the individual nature of twin and triple engine rigs can cause quite a bit of variation). This 27 Judge seems like an absurdly big boat to depend on a bow-mounted electric trolling motor, but a 36-volt Minn Kota Riptide Ulterra, with 112-pounds of thrust and a 72-inch shaft, has no problem getting the job done. Photo courtesy of Capt. Pete Dahlberg. The widest application for virtual anchoring comes with bow-mounted electric trolling motors. 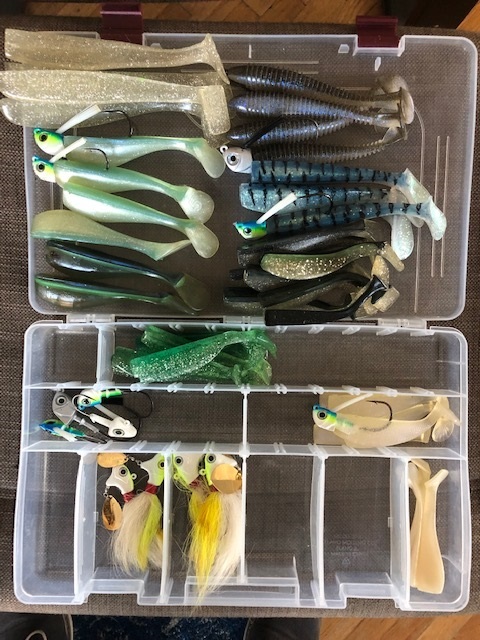 Most fishing boats under 28 or so feet in length can be rigged with them (though some modifications at the bow may be necessary), and modern systems can be shockingly strong and capable when it comes to holding relatively large boats in a bow or current. Naturally, when it comes to boats there is no panacea – everything has a down-side. But when it comes to virtual anchoring abilities, the biggest down-side is that one the unavoidable issue we all grapple with whenever we start talking about our boats: cost. Depending on the nature of the boat you own and the system you want, getting virtual anchoring ability could cost you anywhere from a couple grand to tens of thousands of dollars. Add to that the limitations to upgrading that we’ve already talked about, along with added weight in the case of a bow-mounted electric system. Remember, those 36-volt systems require three deep-cycle batteries, which means you’ll forever be hauling around about as much weight as an additional passenger. And when you’re dealing with a system that relies on digital controls and a joystick, you might also consider the fact that as any system gets more and more complex, there’s additional potential for issues to arise – and when they do, repair bills tend to be higher. 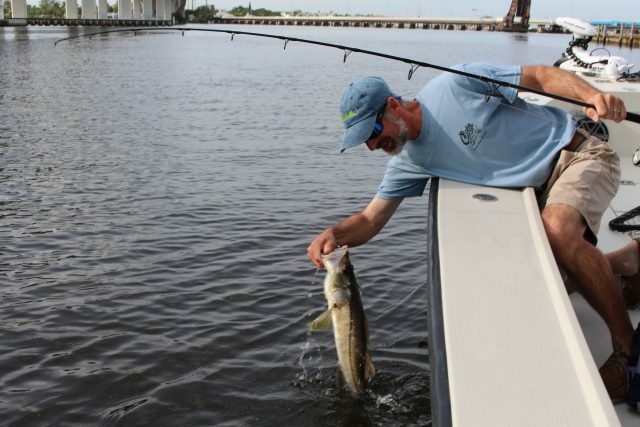 The author enjoys the benefit of being Spot-Locked in place an ideal casting distance from the pier this snook was hiding under. Is the benefit worth the cost? That’s up to you to decide. 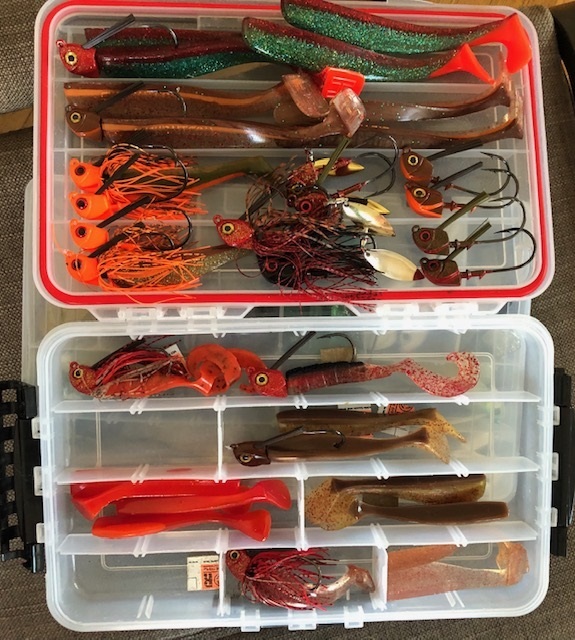 But having fished on boats equipped with virtual anchors everywhere from Minnesota to Miami, for everything from smallmouth bass to snook, we’ve got to say that this ability will absolutely, positively help you catch more fish. Period.